In Ninja Turtles: The Next Mutation – Turtle Power, everyone’s favorite turtles — Leonardo, Raphael, Donatello and Michelangelo, along with the newest addition to the family, Venus Di Milo — are back! They’re on a mission to rescue Master Splinter from the evil Dragon Lord and his horde while staying clear of other new foes like the vampiress Vam-Mi, the yeti Silver and the big-game hunter Simon Bonesteel who are all out for their shells! 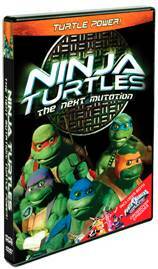 Ninja Turtles: The Next Mutation – Turtle Power contains six episodes from the live-action series, as well as the special Power Rangers In Space crossover episodes “Save Our Ship” and “Shell Shocked” as a bonus feature! The Power Rangers battle the dreaded villain Divatox at rapid speed in Power Rangers: In Space, Vol. 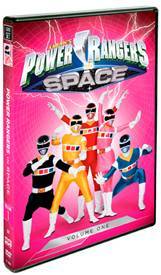 1, a 3-DVD box set that contains the first 22 episodes of the series.When word reaches the remaining Power Rangers that their founder and mentor Zordon has been captured by a coalition of villains, the remaining Rangers journey into space aboard a NASADA space shuttle in the hopes of rescuing him. 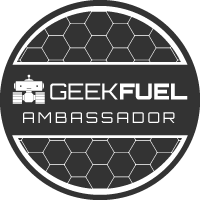 Deep in space, they discover the Astro Megaship, the mobile base of operations for Andros, a Power Ranger who grew up on the distant space colony of KO-35. Joining forces, they draw power from their new Astro Morphers to take their fight against evil anywhere necessary and to find Zordon before it’s too late. Fighting a union of all their past villains, led by the monstrous Dark Specter and his trusted captain Astronema, the Rangers are in for the biggest fight the universe has ever seen! I have review other DVDs of both these shows before and these are just like the others. The story is cheesy and acting not all that great but there is a lot of action, it is interesting, entertaining and I know children love it.